– Protects from dust, carpet fluff etc. Rod framed Fan Coil Filters (or IRF) are used in many air conditioning and refrigeration applications. These Extra thin Fan Coil Air Filters (6mm) are also used in refrigeration counters and electronic equipment cabinets to protect circuits from dust and fluff in the atmosphere. The Fan Coil Air Filter comes in three constructions the first two which are manufactured on a wire rod frame using either synthetic (white) or polyfoam (black) washable Air Filter Media. 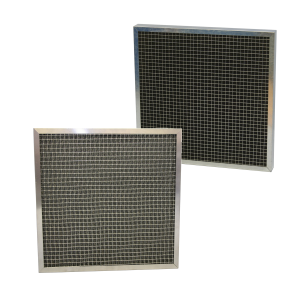 The third construction of this versatile Air Filter is folded over a wire mesh frame to provide a higher level of media rigidity. 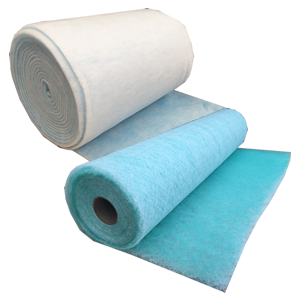 Airclean manufacture both Standard and Non Standard Air Filters. Copyright © 2019 Airclean Ltd.